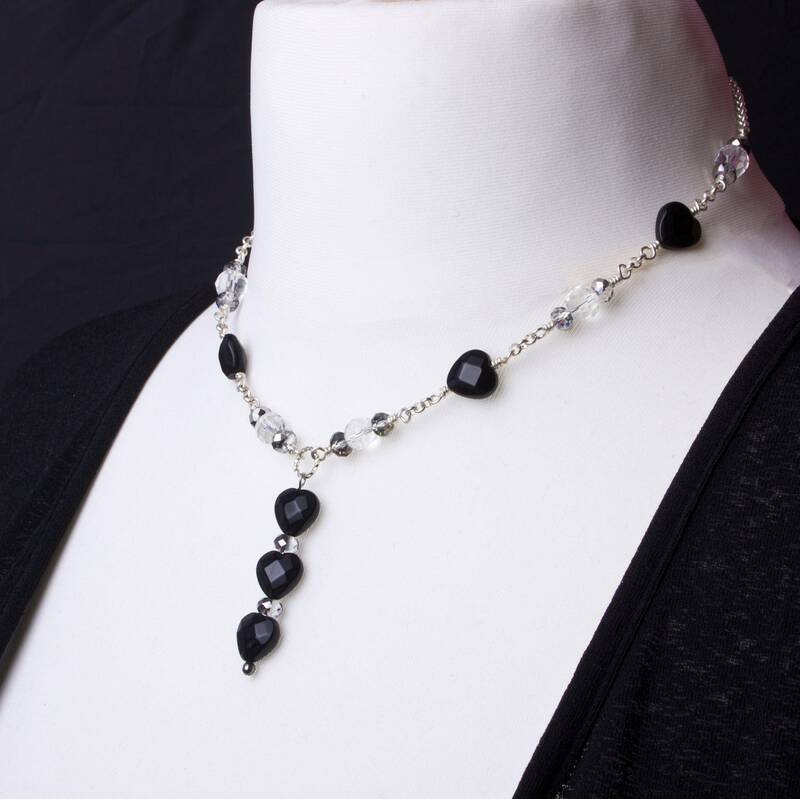 Gorgeous faceted black glass hearts are combined with faceted clear glass and dark rainbow glass beads. Wire wrapped into a silver tone round link belcher chain and finished with a toggle clasp. Approximately 18 inches long with a three heart drop section, just under 2 inches long.